After about 2 years of brewing beer in my man shed I was getting a little bit tired of dropping sugar all over my workbench as I bottled my beer. There's nothing more annoying than picking up your hammer to realize it's all sticky. My own bad, of course, I should stop dropping the spoon and spilling sugar everywhere. So I decided to do something I'd always thought about doing but never got around too. I primed my beer batch with sugar. So, that sounds simple, right? On the face of it, yes, but there are some things to consider! I usually brew in 23 liter (5 gallon) batches so my focus on my first batch priming was working out how much sugar I needed to use. My intention was to use even less than I normally would as I feel I tended to over sugar my bottles which has resulted in my fair share of bottle bombs and even then, just brews which produce too much head (which means waiting time before drinking as the beer then needs to settle). Regards the sugar amount, it's my personal experience that using 60 - 70 grams results in less gushers and less over-fizzy beer. I suspect that it might be a case of horses for courses in that some beers do better with more or less sugar, so expect that results mayvaryy. That said, I have found 80 grams just perfect for my Irish Miner stouts. Basically, I'm saying results may vary, experience and personal preference will guide you. I think we mentioned above that some beers just feel better when they have the right amount of carbon dioxide in them. Too much fizz and that mouth feel doesn't work, too little and that lager might seem flat. This nomograph can help you work out how much sugar you need for your particular kind of beer. "To use the nomograph, draw a line from the temperature of your beer through the volumes of CO2 that you want, to the scale for sugar. 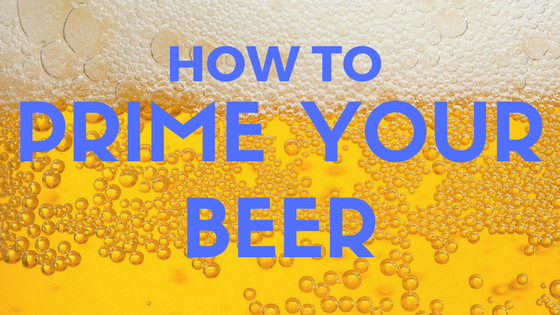 The intersection of your line and the sugar scale gives the weight of either corn or cane sugar in ounces to be added to five gallons of beer to achieve the desired carbonation level." You could simply add sugar to your fermenter and wait for it to dissolve. It's a pretty simple method but not very efficient and may take some time to ensure an even spread. I suggest you mix some up with hot water in a sterilized pot (maybe even boil it) and let it cool a bit. You then open up the fermenter and gently stir it in, without disturbing the sediment. Leave it to sit for 10 - 20 minutes and then begin your normal bottling process. Indeed, you could sanitise your bottles while you wait. I suspect you could also use icing sugar as well as that's just finely cut up sucrose so it should dissolve easily. Try not to stir up the sediment! There's a fair argument to be made that when batch priming your beer, using a secondary fermenter or bottling bucket is the way to go. The concept is that you siphon the beer from the original fermenter into a second vessel. 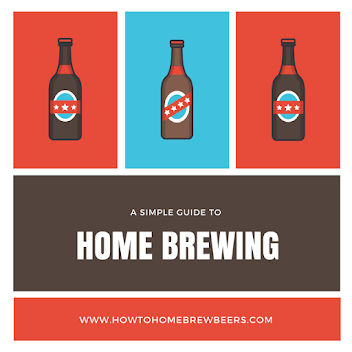 This way you are able to bottle without disturbing the yeast and other brewing bi-products that have fallen to the bottom of the original fermenter. The idea is that this improves beer clarity and further reduces the amount of sediment that will form in the conditioned beer bottles (and on pouring from those, again reduced the chance of sediment going into the beer glass). If you are siphoning into a secondary, I suggest you have your sugar solution all prepared and in the secondary, before you add the beer as this will help ensure the sugar dissolves properly in the brew. This will also help ensure that your batch brewed beer will have a consistent sugar volume and each beer should behave the same - i.e. produce the same amount of fizz and head with each pour. Try to avoid over sugaring beer! I'm trying to avoid using too much sugar in my beers as I don't want them to be too fizzy or explode in a mess all over the kitchen. So, beer this in mind. If you add too much sugar, you will cause these problems so we recommend you consider the numbers above. Dextrose and sucrose do not add any flavours to the beer. They simply are eaten by the yeast and converted into more alcohol and CO2 which goes into the beer. You can prime with other things such as honey and brown sugar. Some brewers have been known to use brown sugar with stouts. Honey can be used with hefeweizens and blondes. I have found that using too much honey can leave a beer feeling a bit 'dry'. You could even melt down some jelly beans if you want to give your beer a really sweet flavour! Once you have bottled your beer, you need to consider storage temperature. It's best to initially store your beer in a warm place. This will encourage secondary fermentation to commence (this is sometimes described as bottle conditioning). The ideal temperature range is between approx 18 - 25°C for 5 to 7 days. After that period, you should leave them in a much cooler place with a temperature range between approx 8 - 12°C. The beer should also be kept out of the light to avoid light strike. And then as per standard conditioning practice, we recommend waiting three weeks before having a wee sample. Can you use dextrose instead of sugar for priming? Corn sugar and dextrose are the same thing! Dextrose is actually the most popular priming sugar, so feel free to use it with your priming. Very happy to report the ale I primed is very drinkable, with no bottle bombs occurring and a very consistent level of bubbles!